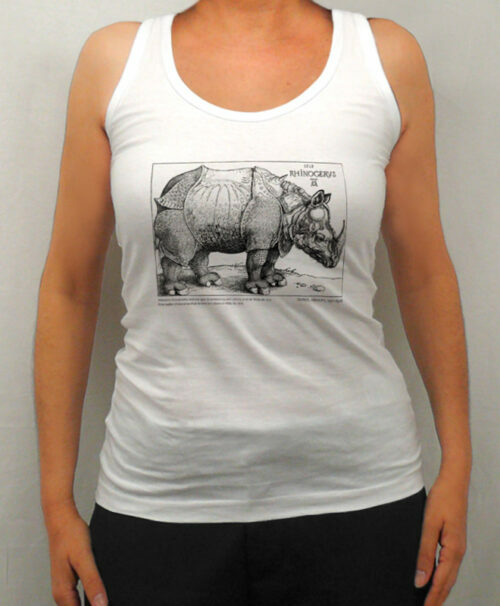 Rhinocerus is a woodcut representing the first Indian Rhino to arrive in Europe. It landed in Lisbon in the year 1515 sent by King D. Manuel of Portugal. 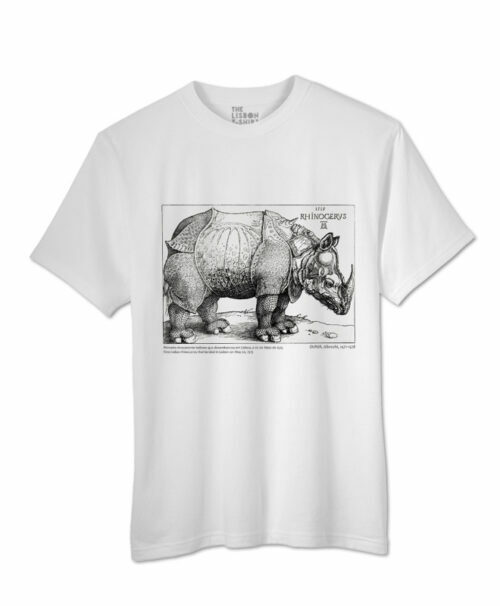 Albrecht Durer, a famous german artist and naturalist illustrator, draw it based on the oral description of the rhinoceros. 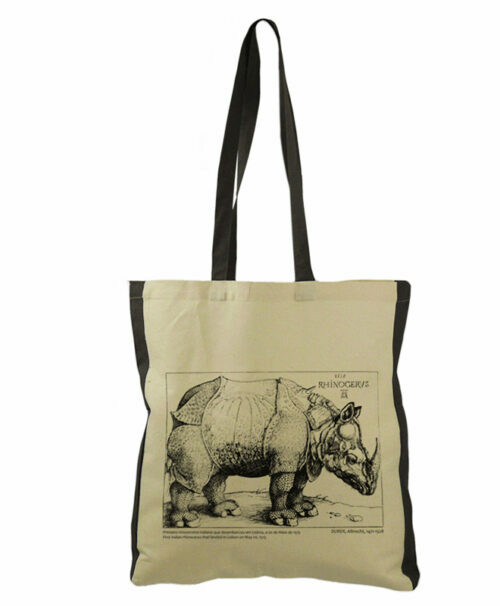 Durer became very famous and so did this image. 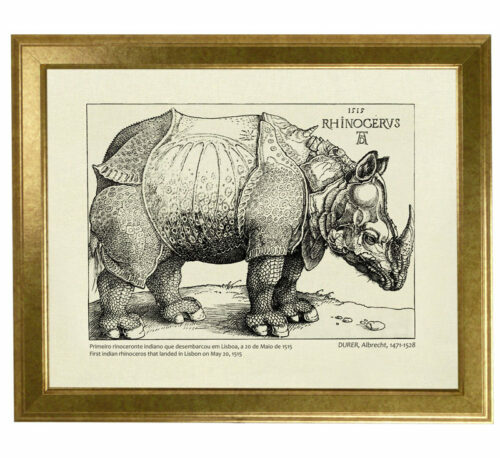 Durer’s Rhino was “copied” by many artists among them is David Kandel. The original by Durer is at the British Museum in London. Due to the disappearing of its habitat – alluvial grassland and riverine forest – because of agricultural expansion and the excessive hunting the Indian rhino is an endangered species. 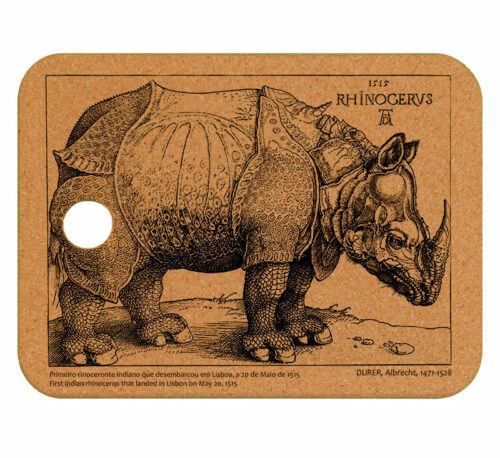 We created the Rhinocerus Collection to celebrate Art, Durer and Rhino.